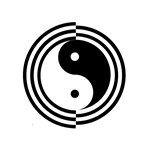 Wing Chun (Ving Tsun) kung fu is one of the most admired and practical martial systems in the world; Alan Gibson is one of the foremost authors in the method and presents us here, with a comprehensive and functional reference that gets right to the heart of Wing Chun. The Works is an updated collection of Alan’s pragmatic, Why Wing Chun Works series of books, packed with exiting new writing, philosophy, diagrams and photography, all laid out in a straightforward manner. Written in his familiar, easy reading style, Alan’s friendly coaching voice is constantly backed up with concise and dependable information from respected experts. We are taken on an elegant journey through all six Wing Chun forms and each one is discussed in detail through concepts, application and training effect.